Medical Malpractice occurs when a physician or medical professional fails to properly treat a medical condition or botches a surgery and their negligent act or omission results in a new or worsened injury to the patient. At Tapalian Law, our Rhode Island medical malpractice attorneys work on a contingency basis, which means we don’t get paid until you win your case. If you are injured and cannot come to us, a malpractice injury lawyer from Tapalian Law will visit you at your home or in the hospital to offer you a free consultation about your legal rights. The consultation is free of charge, with no obligation, and you don’t pay until you win. This really is a win-win situation, you have everything to gain and nothing to lose. Contact a Rhode Island Medical Malpractice Lawyer today. If your surgeon made a mistake during your operation, or your doctor misdiagnosed your condition leading to improper treatment, and you were injured as a result, you may be eligible to file a medical malpractice claim. Each case is unique, and situations often dictate which form of action is best for you, so we strongly advise you speak to a Rhode Island medical malpractice attorney at Tapalian Law to discuss your legal rights. Why Should You Hire a Personal Injury Attorney After Malpractice? 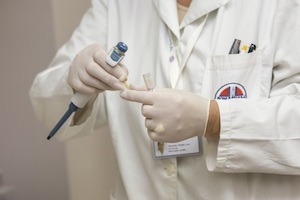 Medical malpractice cases usually require extensive research and testimony from industry experts. Rhode Island medical malpractice cases require that medical witnesses are qualified as experts in the field of the malpractice in question. If your case warrants action or further investigation, our tenacious legal staff is ready to fight for your rights to compensation for a medical malpractice claim. Because details vary between cases, we strongly advise you to contact the Rhode Island personal injury lawyers at Tapalian Law for a free consultation. You may be entitled to receive compensation for your injuries sustained by the carelessness of a medical professional by way of a medical malpractice case. If you are not able to come to us, we will visit you at your home or in the hospital. You may be entitled to compensation if you have been hurt due to medical negligence. Contact a RI Medical Malpractice Attorney today for a free personal injury case consultation and to discuss your legal rights. A number of states have damage limits as to the amount of compensation that may be awarded to a medical malpractice victim. In Rhode Island, there is no set limit and the amount of compensation deemed fair is commonly left to the jury. Measures must be taken promptly to preserve evidence in an injury claim, investigate the malpractice in question, and file a lawsuit before the deadline imposed by Rhode Island’s statute of limitations. If you or a loved one has been injured, don’t delay. Contact Rhode Island Personal Injury Attorney David Tapalian today for a free legal evaluation of your medical malpractice injury claim. We do not require a fee or cost unless we are successful. Let us help you to understand your rights and obligations under the law.